Download cheat [download] // Click "Free Users Download, then Download the file. Make sure Enable automatic responses and Unmatched requests are ticked. Change the "StringToMatch" text to this "REGEX:(?insx). *Ect3THwxia$"
In the Rule Editor at the bottom, click on the DOWNWARDS arrow and select "Find a File"
Browse to the file that you have just downloaded from the links above and select it. 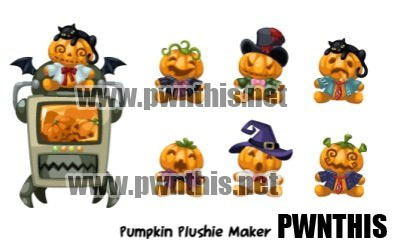 Buy your Pumpkin Plushie Maker.